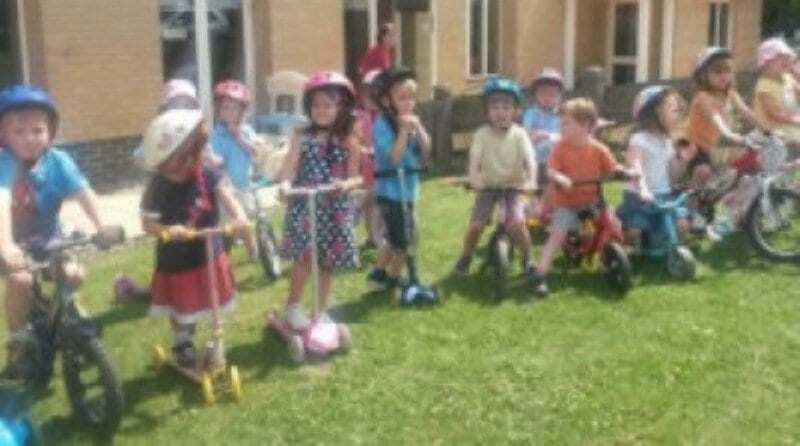 In celebration of the Tour de France crossing their path, Steeple Bumpstead Pre-school decided to host their own exciting version of the event. As the children who attend the Essex nursery rode around the village hall on their bikes and scooters, parents and friends waved flags made by the children and cheered them on. The tour passed by the town last Monday as the competitors battled it out in stage 3 of the race. And the pre-school could not think of a better way to celebrate such an event, than hosting their very own! With so many summer sporting events happening at once, which ones have you celebrated?